Bomber is a novel of war. There are no victors, no vanquished. There are simply those who remain alive, and those who die. Bomber follows the progress of an Allied air raid through a period of twenty-four hours in the summer of 1943. It portrays all the participants in a terrifying drama, both in the air and on the ground, in Britain and in Germany. In its documentary style, it is unique. In its emotional power it is overwhelming. 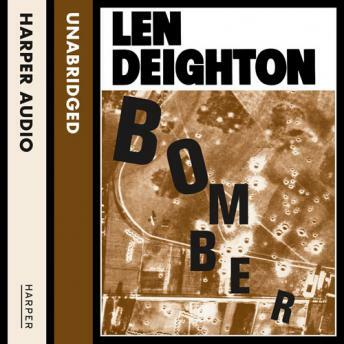 Len Deighton has been equally acclaimed as a novelist and as an historian. In Bomber he has combined both talents to produce a masterpiece.